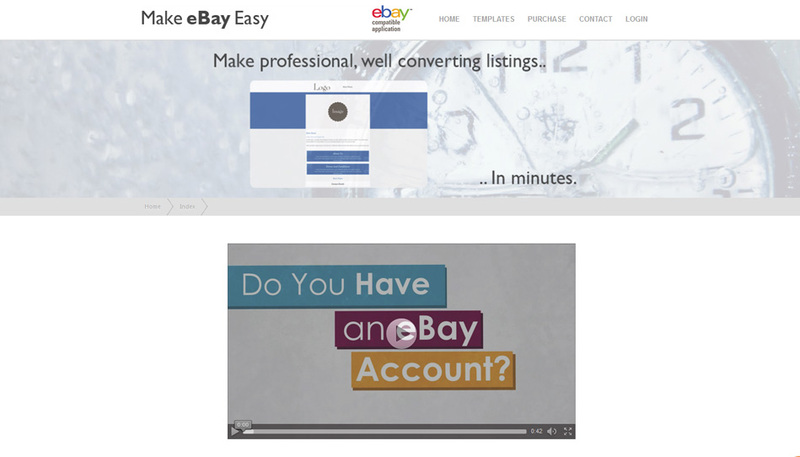 Make eBay Easy is an eBay compatible application (a title granted by eBay) custom made for Help Mee Solutions Limited. The web application allows its users to use over 100 templates designs for their eBay listings and post straight to eBay from the web application itself. As well as the website itself, promotional and tutorial videos were created along with an extremely powerful administrative area. 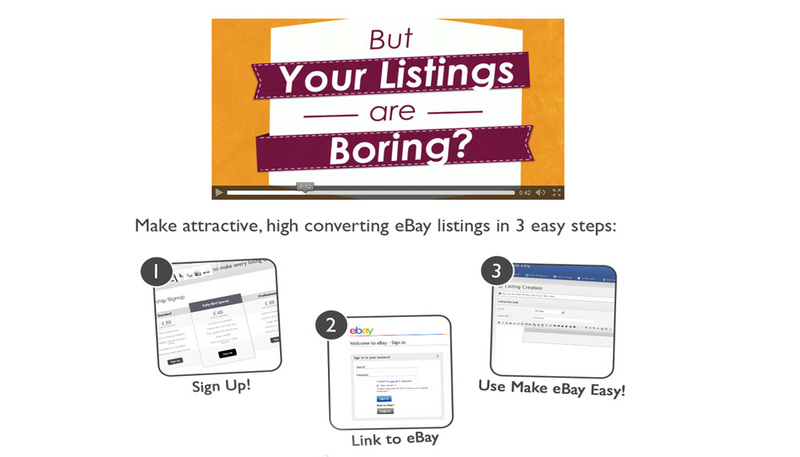 Make eBay Easy is a powerful web application that allows its users to choose from over 100 listing templates and post straight to eBay from the application itself. As well as a website, the application itself and a powerful administrative area, promotional and tutorial materials as well as promotional campaigns were also created. 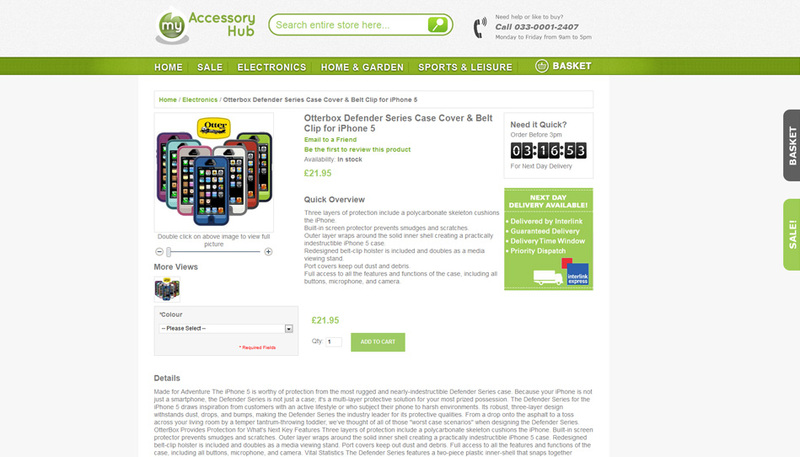 My Accessory Hub's website was designed to be as fun and as vibrant as the accessories themselves. Powered by the Magento shopping cart, My Accessory Hub's website allows its customers to browse and purchase goods easily. My Accessory Hub's design was designed from scratch, and their logo was created as part of the process. As well as displaying the products simply and cleanly, My Accessory Hub shows customers when and if expedited delivery if available. 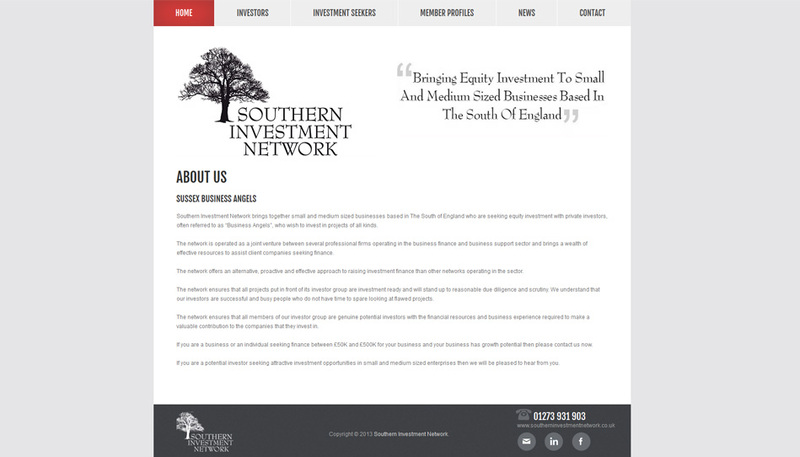 Southern Investment Network brings together small and medium sized businesses based in The South of England who are seeking equity investment with private investors, often referred to as “Business Angels”, who wish to invest in projects of all kinds. The Southern Investment Network website conveys all the information in a clean and elegant manner, while navigation is smooth and efficient. 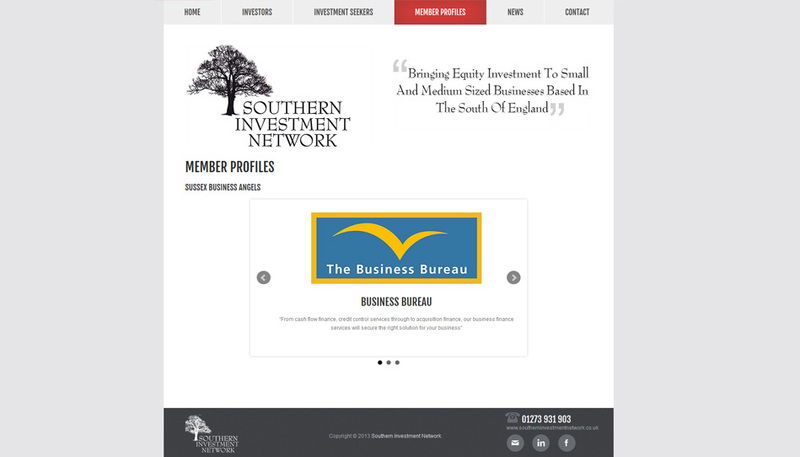 The Southern Investment Network website design is clean and straightforwad, allowing simple navigation while allowing information to be displayed efficiently. JQuery is used to help use space economically, while also adding to the users navigational experience. Insolvency And Recovery Limited is a Firm of Insolvency Practitioners Specialising in all aspects of Rescue, Reconstruction and Insolvency. They wanted their website to stand out so the Insolvency And Recovery website was designed as a responsive, one page design. This allows all the content to be loaded at once, all on one page while fully adapting to every device. 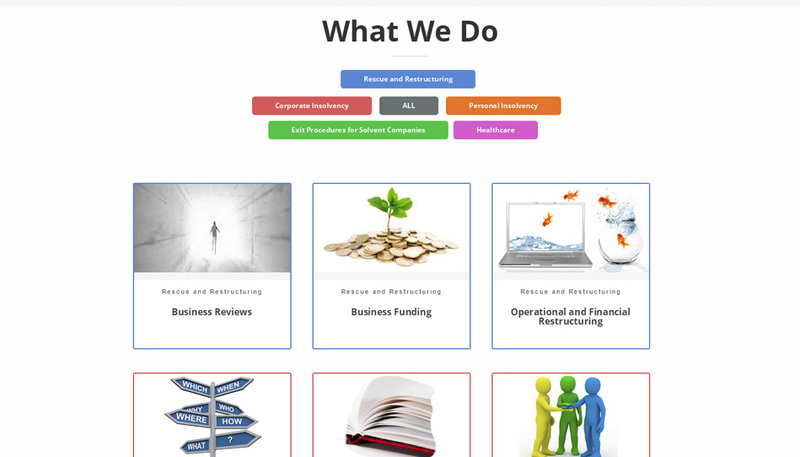 Using the latest web technologies the Insolvency And Recovery Limited website is sleek and easy to use. 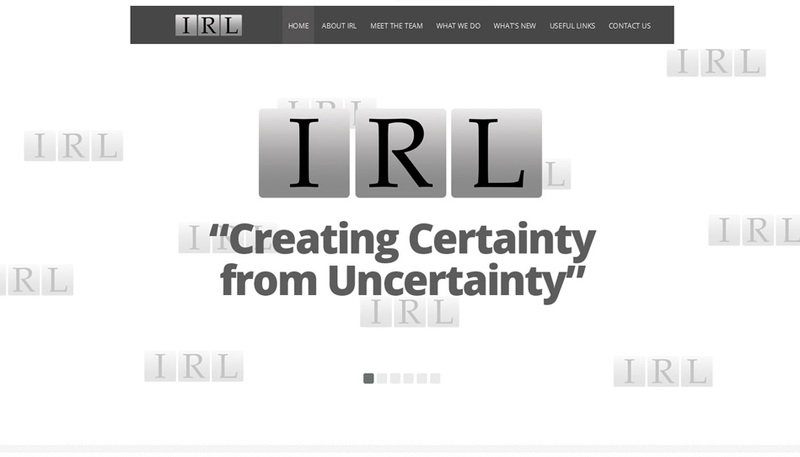 The IRL website responds and adapts according to the users device, to ensure full functionality whether the viewer is using their laptop or phone. Using the latest in web technologies, the IRL website presents information in unique ways, always keeping within the same browser window. Sewn At Home is a small family run business and they wanted this reflected in their website. Using a very simple AJAX powered shopping cart and a custom created admin area they can add, edit and remove products incredibly quickly and simply. 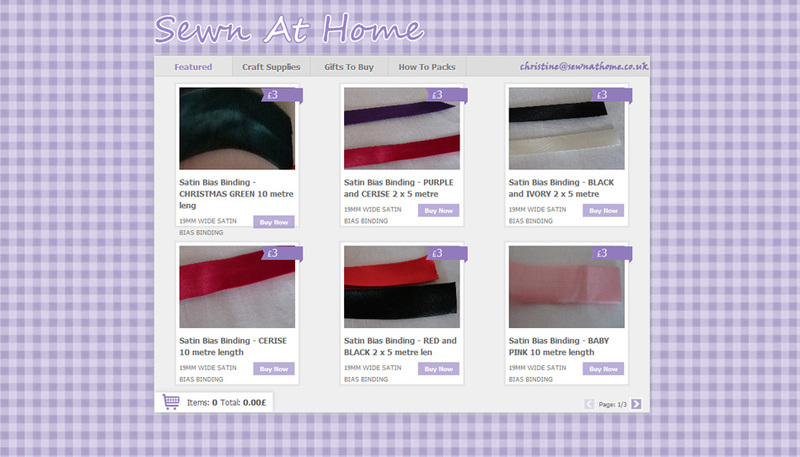 The Sewn At Home website is easy to use and easy for the Sewn At Home staff to make changes to their website. Featuring a simple AJAX shopping cart system, customers can purchase supplies in a matter of minutes. Candy Floss And Bow Ties was created for the skilled photographer, Lucy Bartholomew. The logo was inspired by a sketch of Lucy's, while the design and colour scheme of the website was inspired by neapolitan ice cream. Buit as a completely custom theme for wordpress, the site is powered by one of the most accessible and poerful CMS' available. Being powered by wordpress, the site is easy to add and modify content without modifying any of the website code. 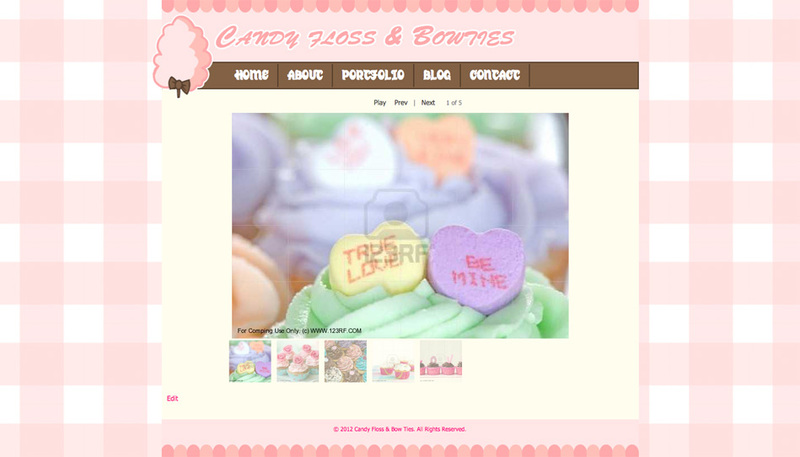 Completely custom theme powered by wordpress, giving Lucy complete control over the website. The colour scheme is easily modified making brand updates quick and easy. 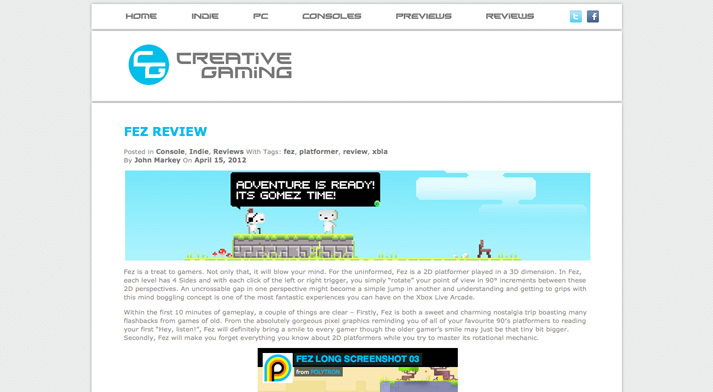 The Creative Gaming website was completely rebranded and redesigned from the ground up. Rebranded as an enthusiast gaming journilist outlet, specialising on gaming's indie scene – the website was created powered by wordpress. The custom theme created offers a unique design, powered by one of the most powerful CMS available. This means that new posts as easily added and edited using the wordpress backend, as long as all the other benefits of wordpress. 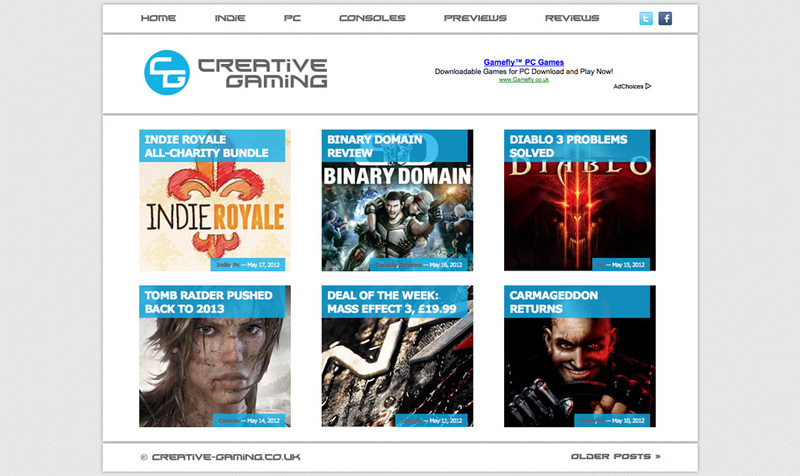 Creative Gaming is powered by custom created and highly capable CMS and member systems. 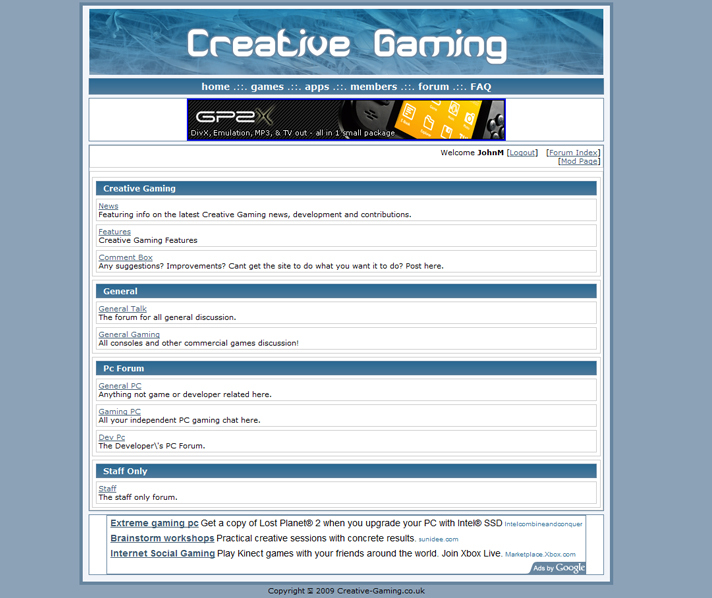 Creative Gaming also consists of a completely unique, custom created forum, especially created for the website. 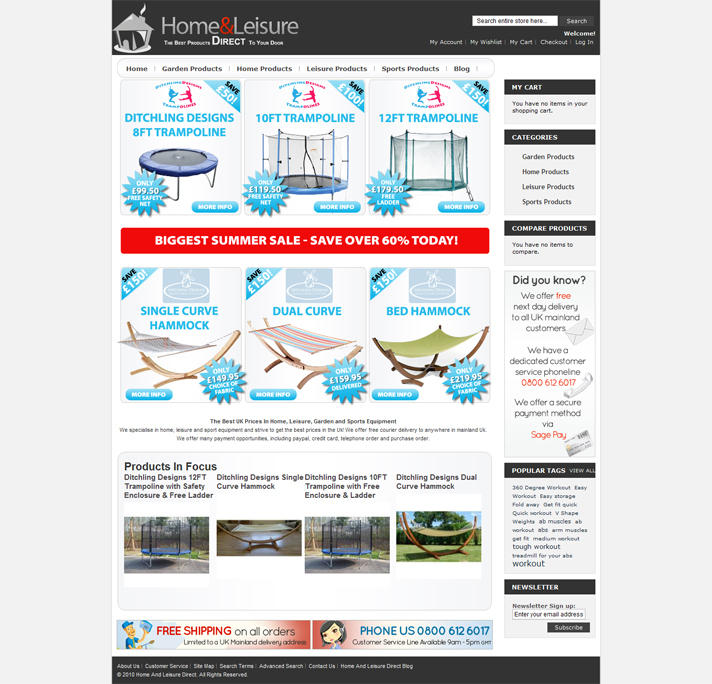 Home And Leisure Direct is an ecommerce website that sales the latest and greatest home and leisure equipment. 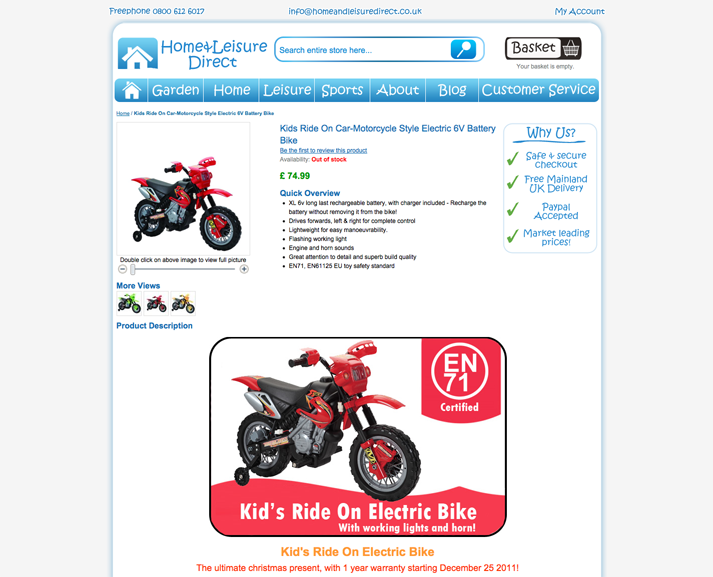 Built using the Magento ecommerce platform, Home And Leisure Direct consists of a custom and unique skin, with integrated payment options and additional useful addons to make purchasing as easy and as pain free for the customer as possible, such as a delivery cost calculator and multiple shipment rates which calculates the correct shipping cost for the customer based on country, postcode and shipment weight. Completely updated for 2012 to ensure the site is kept uptodate and relevant. Each product page was redesigned and updated to ensure a complete website makeover. 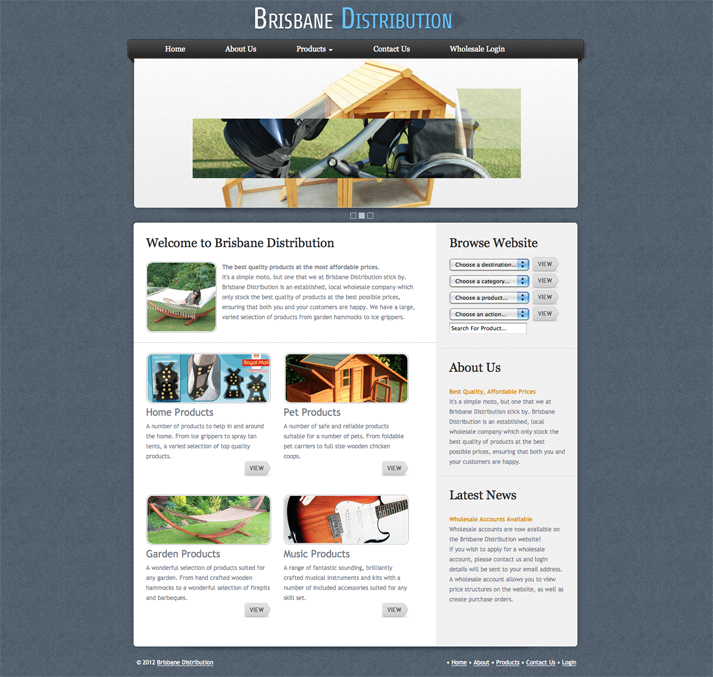 Brisbane Distribution features an animated photo gallery throughout, which automatically ascoiates pictures according to the page visited. 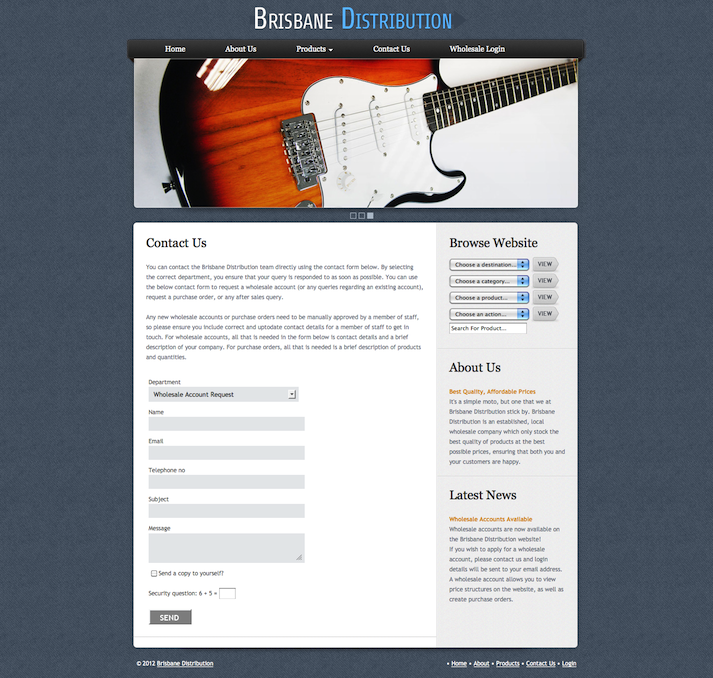 Brisbane Distribution is powered by a custom built CMS, to cater for their customers needs. 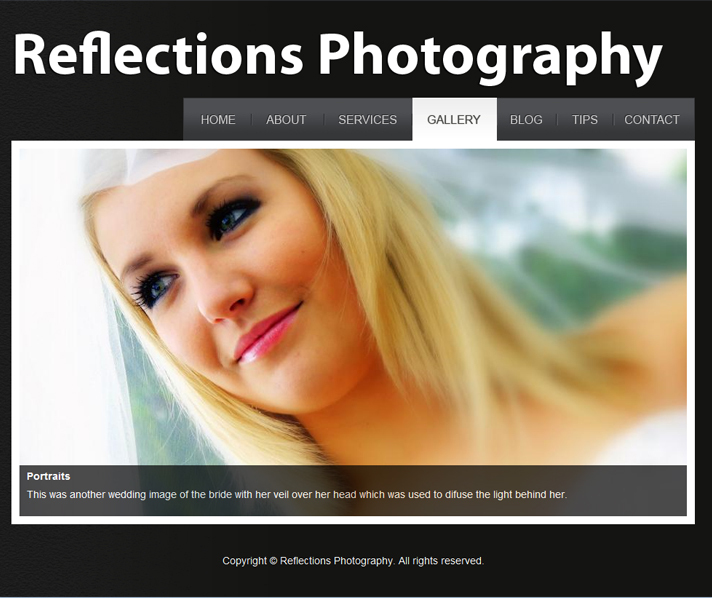 Reflections Photography features an animated photo gallery. 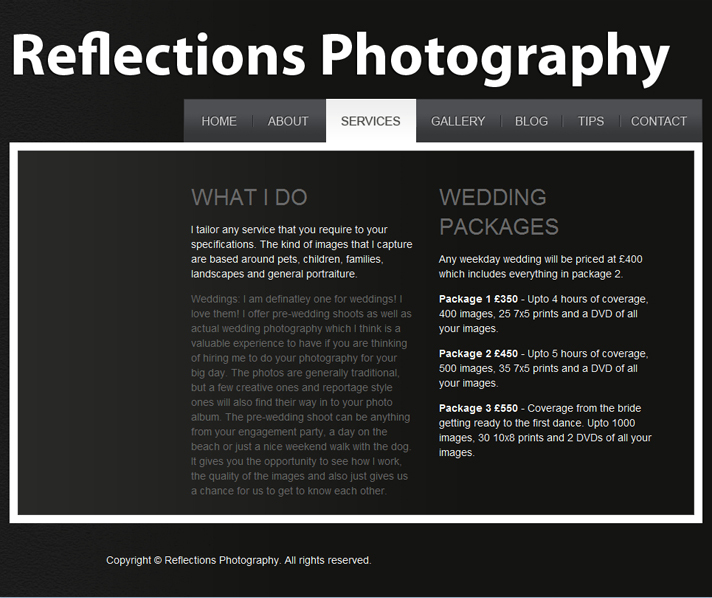 Reflections Photography features an animated navigation menu and a simple, easy to use layout. 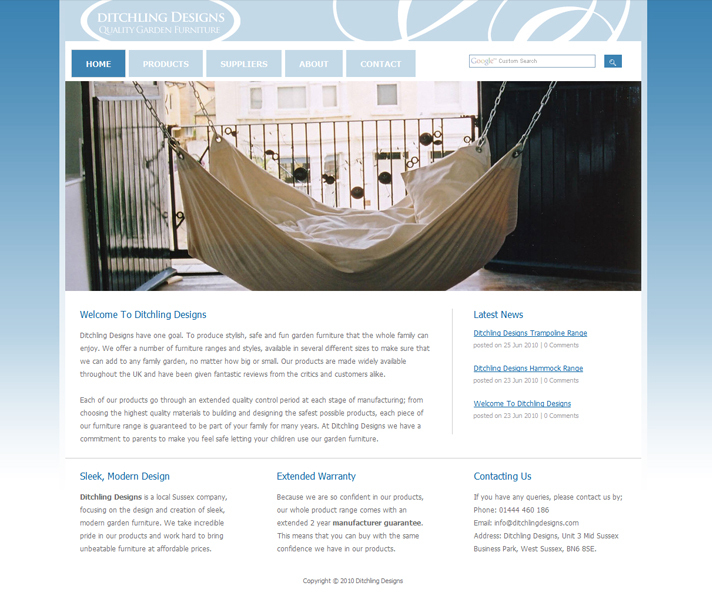 Ditchling Designs is a local Sussex company, focusing on the design and creation of sleek, modern garden furniture. Ditchling Designs required a sleek and modern to match their furniture. Quick to load and professionally displays high definition pictures of all of their furniture, Ditchling Designs website is the perfect avenue to sell the features of their products. Also featuring a CMS system for the staff to easily add, edit and create the pages of the site. 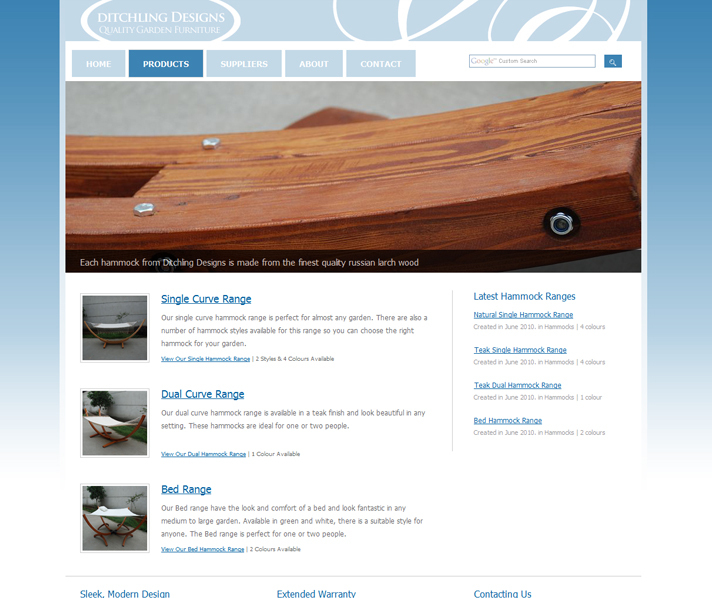 Ditchling Designs website is quick to load and easy to load. The products are the main feature of the website. 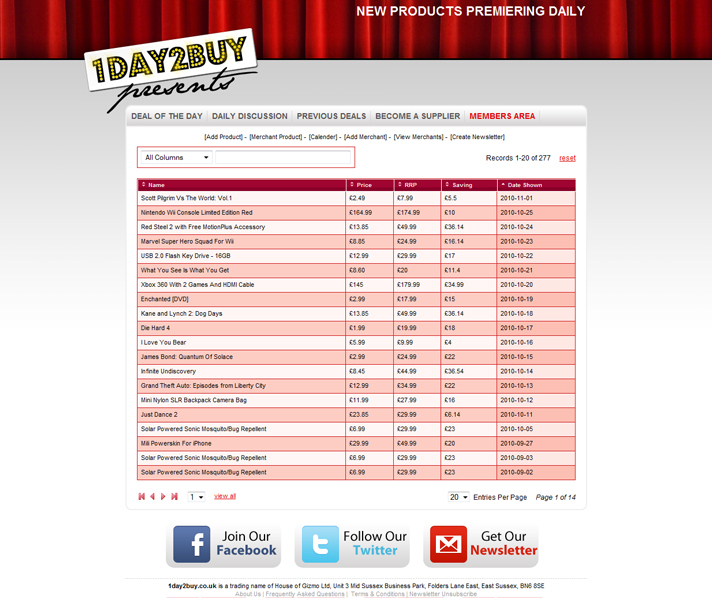 1Day2Buy is an affiliate website that features one new product, every day at a fantastic price. The website was created to promote the daily product, as well as a friendly community and discussion board based around the products. 1Day2Buy has a completely custom created advanced member system, which supports several user tiers and an incredibly complex backend; featuring an automatic email generator, dynamic tables, product calendar and more. 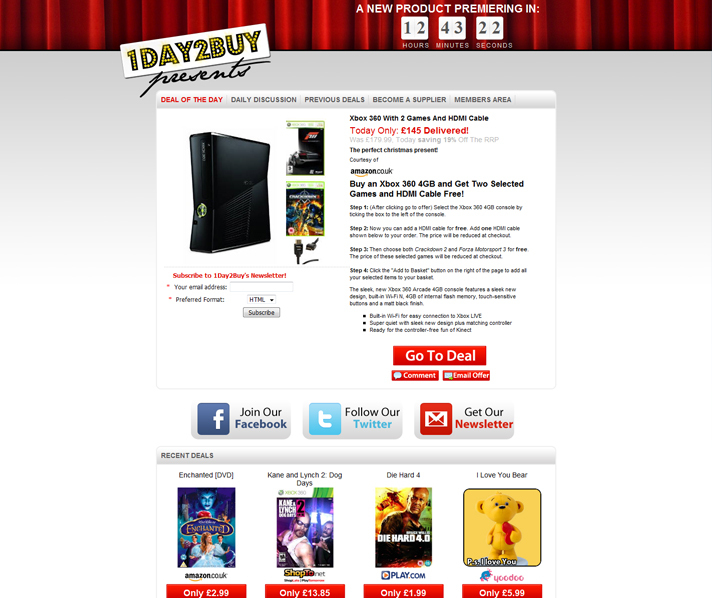 1Day2Buy's website is based around their product of the day. 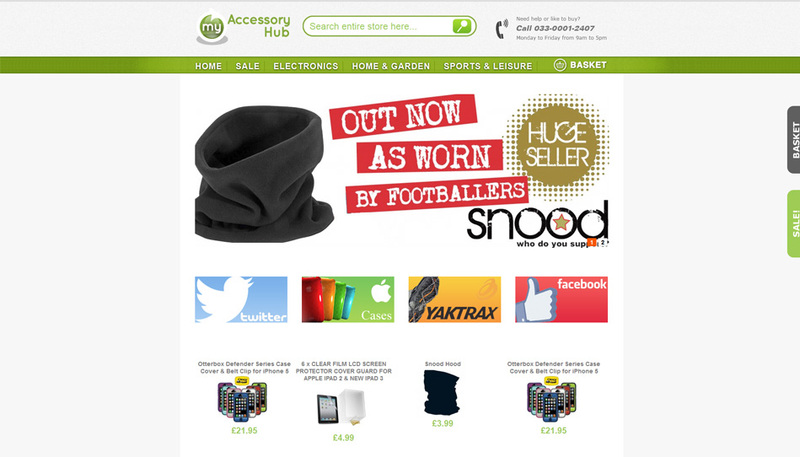 Previous products, newsletter sign ups and social networking are also featured. 1Day2Buy's backend system is incredbily advanced, allowing the website to run with as little input as possible. 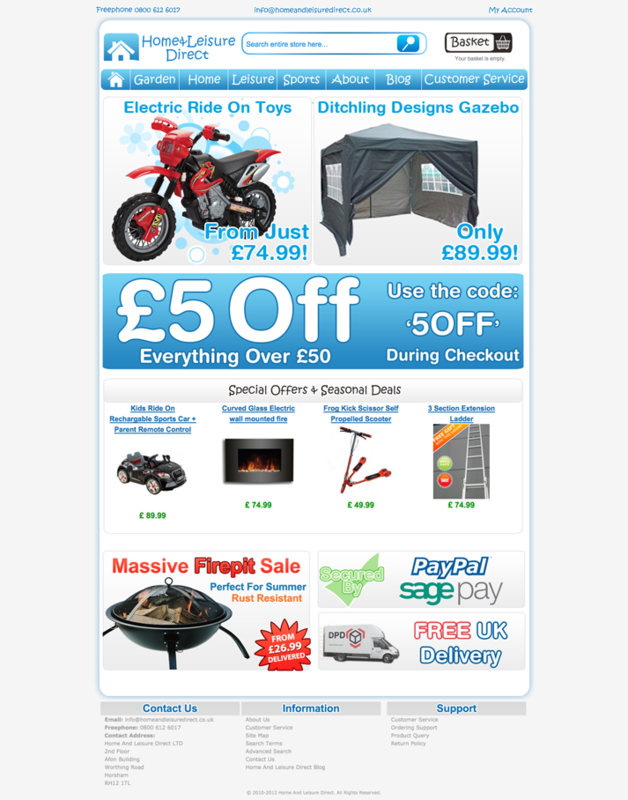 Home And Leisure Direct's main landing page consists of eye catching sales graphics. 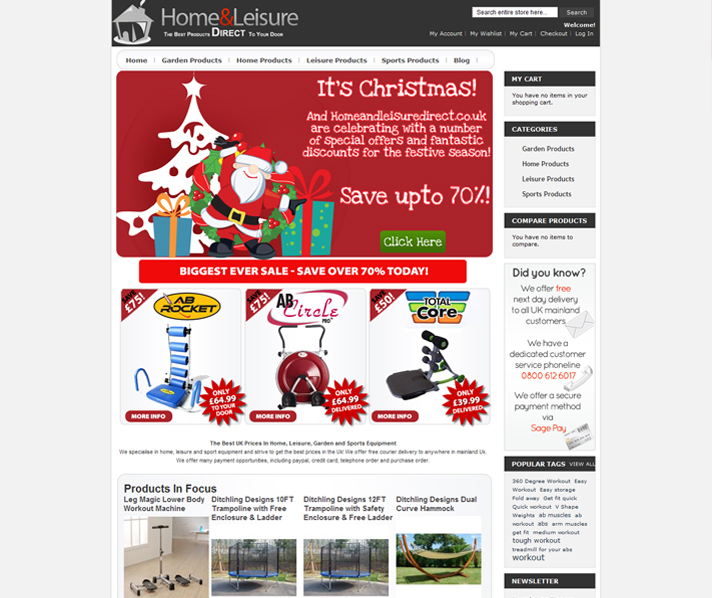 Home And Leisure Direct's homepage is kept uptodate with custom designed seasonal promotions. 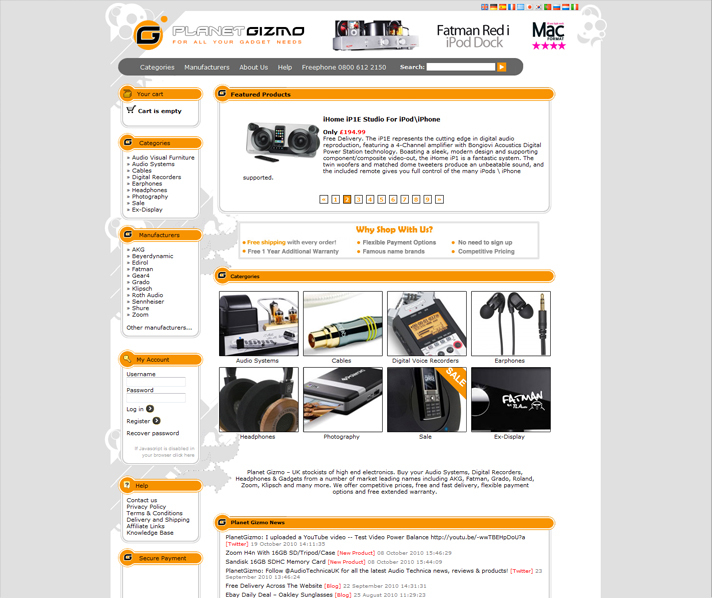 Planet Gizmo is an online gadget website which focus' on high end electronics. Almost every aspect of the customer front end has been customized and tweaked to produce the best possible experience for the customer. Built on the XCart platform, the website allows secure payments as well as a member system for customers to save their details for repeat visits and to get updates on their orders. Planet Gizmo's homepage has all the relevant information the customer would need present, without feeling cluttered. 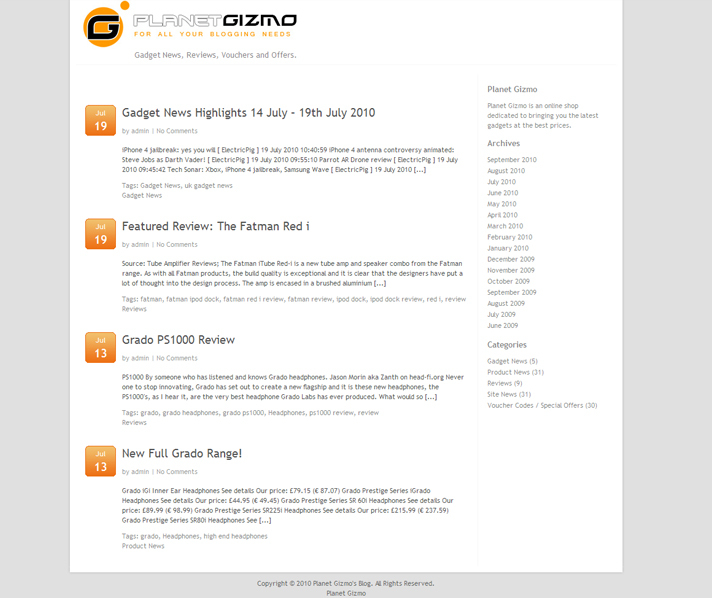 Planet Gizmo also has a custom designed blog and twitter page to keep their customers uptodate with the latest industry news. 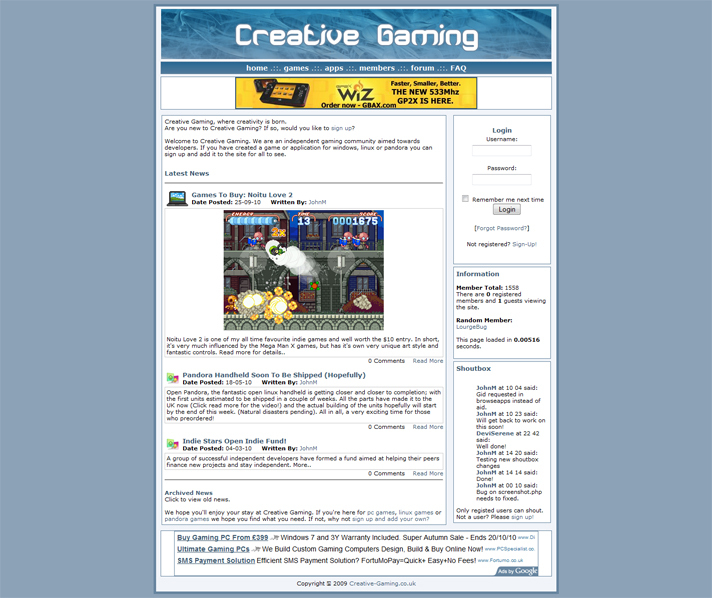 Creative Gaming is an independent freeware gaming community focusing on freeware games. Powered by highly capable, and completely custom built CMS and member systems, the website also has a custom built and designed forum for the community.